Oil changes, tune ups, brakes, exhaust, suspension, air conditioning, cooling, fans, electronic and wiring issues and much more. Please call today to talk to one of our mechanics for a free estimate. We stock around 1,000 tires from suppliers across 4 states. We constantly work to buy top quality used tires. Our A and B level tires offer 50% tread and above. Our “all-in” prices include mounting and balancing. And, if you find a lower published price, we’ll match it! We stand behind every tire sold or service performed. 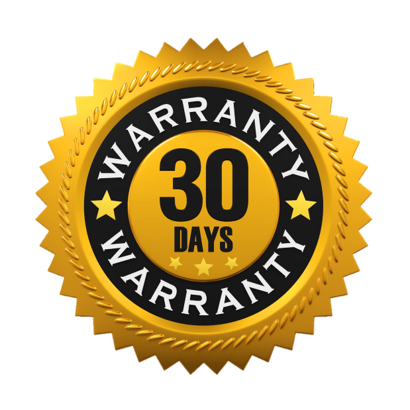 If you experience any problems within 30 days of your purchase, come back and we will repair or replace your purchase. Our expert technicians strive for DIRFT – “Do it right the first time”! In the event you do experience a problem with a repair or tire, we will repair or replace any defective product or service performed within 30 days from the date of purchase1. 1All sales are final. No cash refunds will be given after the sale of any item. Warranty service must be provided by our technicians or a technician and service order approved by Guaranteed Tire & Auto. The decision to repair or replace is at the discretion of Guaranteed Tire & Auto.